I left this place very statisfied on my first visit in July, shortly after it opened. This time around, with its spotty service, and blah food, its likely to be my last visit as well. 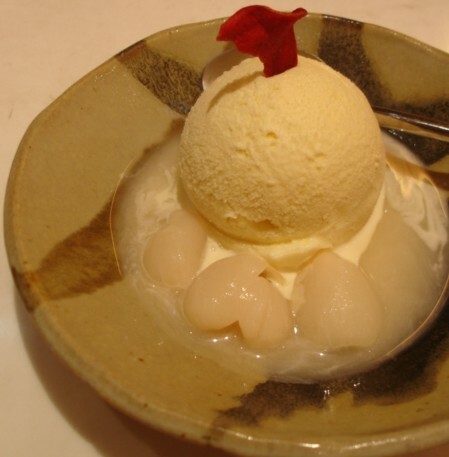 We ordered the lychee ice-cream that left such a huge impression on me the last time, but found it bland and ordinary. The tang yuan (dumplings) in ginger syrup also had a strange taste to it that we could not quite place. The bill for the strange flavours, S$25 / US$15, for both desserts.